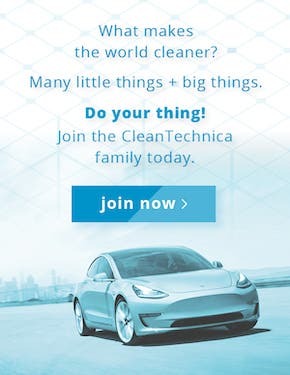 This is the third publication of what the CleanTechnica team calls #Pravduh About #Tesla. For those who somehow missed it, about 4 months ago, Elon Musk got fed up with so much of the media publishing FUD (fear, uncertainty, and doubt) articles about Tesla, and in some cases outright misinformation, that he got an idea. 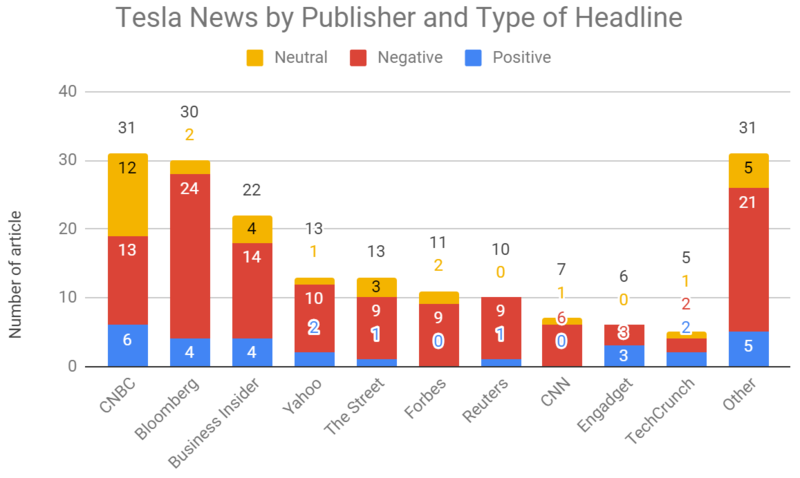 Most people who follow Tesla closely agree that it has been the target of far too much misleading, unfair, negative media coverage. We define journalism as the pursuit of facts and reporting on them in a useful, proper context. When you systematically report with a slant that doesn’t line up with reality, or omit facts that are inconvenient to your point of view, that distorts the general truth and is completely unacceptable. Of all the parts of a story, the headlines have the biggest influence — by far — so we decided to focus our efforts on headline analysis. We already find the results interesting, and we’re super curious to see how the findings evolve over time. Apparently, Elon is as well. 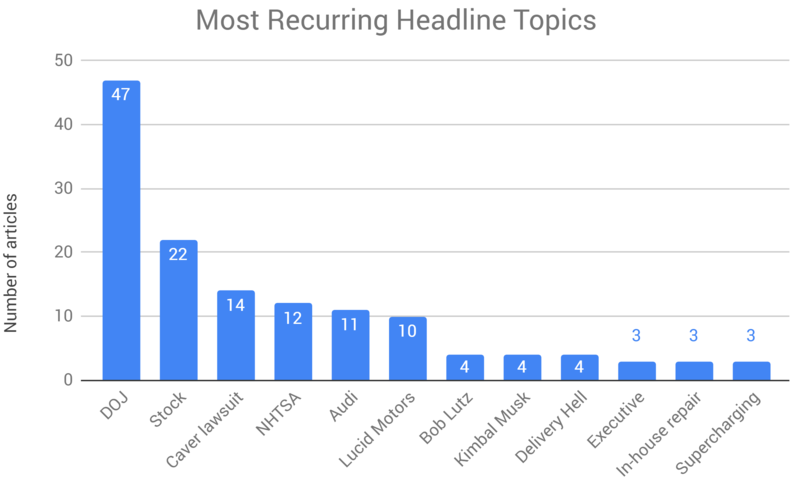 In our effort, we track Tesla headlines and rate them based on their implications for Tesla. Our report covers 22 major media sites. We rate all of their Tesla headlines as either positive, negative, or neutral. This week, the ratio of negative to positive articles was almost 5 to 1. There were 329% more negative articles than positive articles. 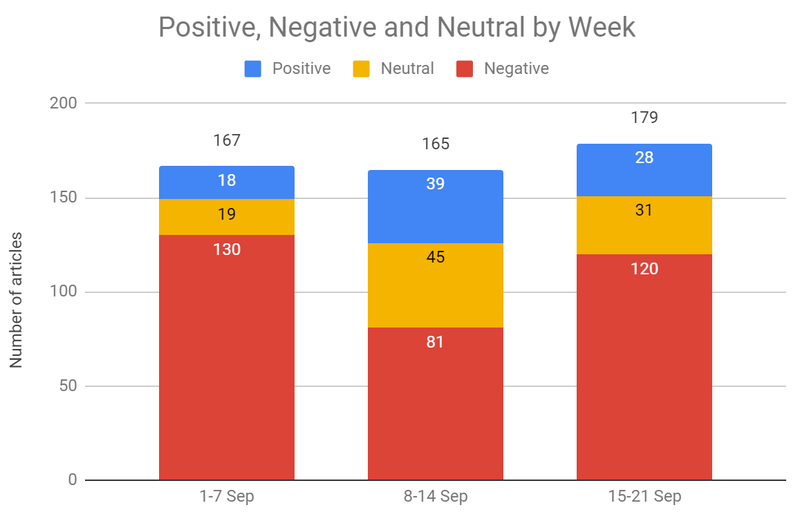 Neutral headlines were almost the same in number as positive headlines. 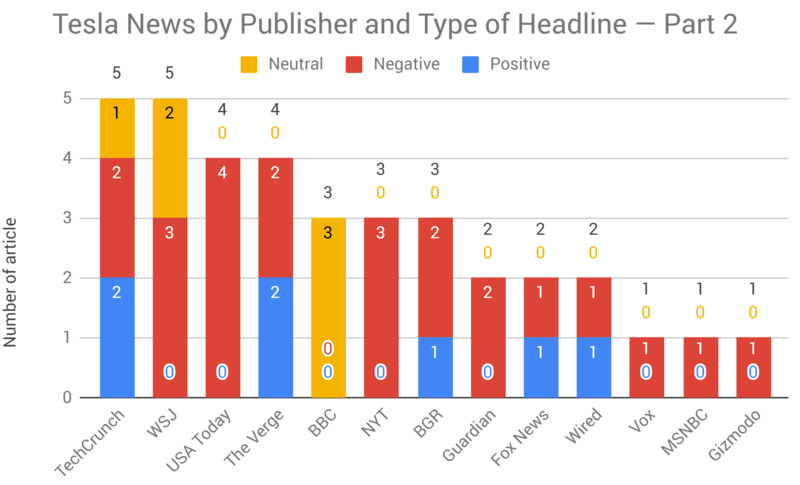 Even if you combine neutral and positive headlines, there were more than twice as many negative headlines. 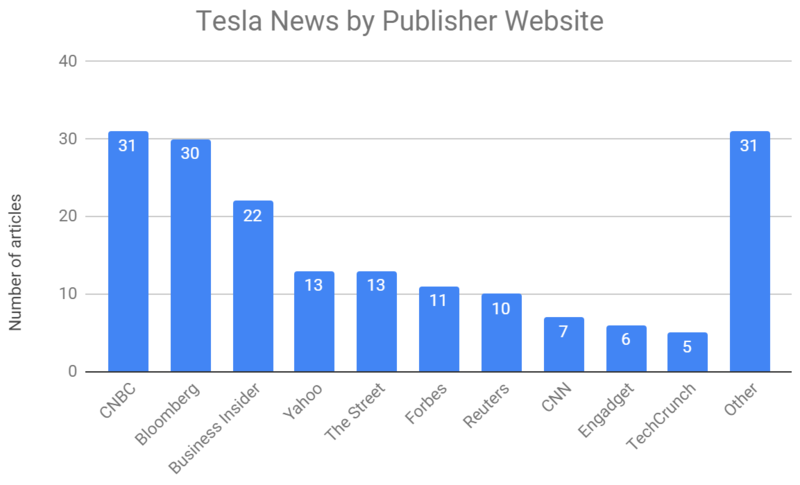 The sites publishing the most about Tesla were CNBC and Bloomberg, followed by Yahoo in a strong third place. 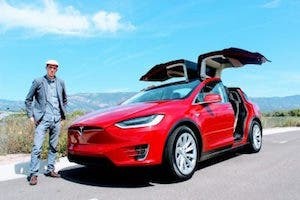 Aside from the websites featured above that published the most Tesla-related stories, “Other” this week included: WSJ, USA Today, The Verge, BBC, NYTimes, BGR, Guardian, Fox News, Wired,Vox, MSNBC, and Gizmodo. 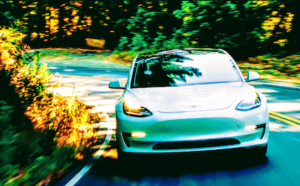 More information regarding these topics is included in the section “What Changed with Tesla Last Week” further down the article. 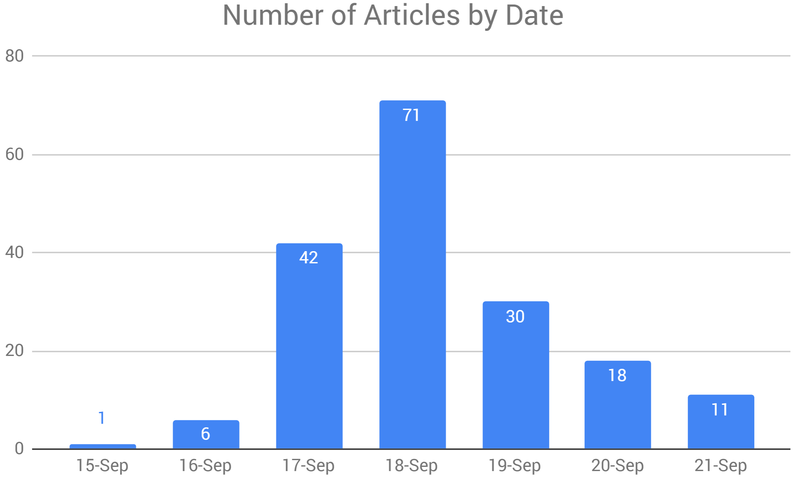 Last week, there was a higher total number of articles that in previous weeks. The negative imbalance as not as strong as in the first week of the month, but was much strong than in the second week. Furthermore, the context about what changed last week made that more confusing than in the first week of the month. 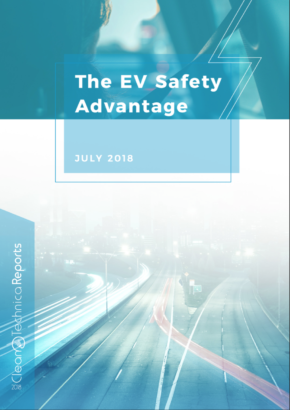 The stock price rose from the beginning of the week to the end, positive safety results came in from the NHTSA, and sales were reportedly looking strong. Old information regarding a DOJ investigation of Elon Musk’s tweets, which Tesla voluntarily participated in, dominated headlines, though — often in a scary and misleading way. There was some positive news about other EV automakers, but nothing that seemed to warrant negative headlines about Tesla. A lawsuit regarding Vernon Unsworth also found itself in many headlines — more than any topic other than the DOJ investigation or the stock price. 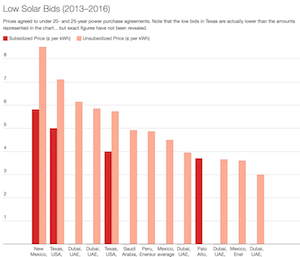 This table and the chart above it are based on only 3 weeks of data collection and headlines. It will be interesting to see what these look like in a few months. Make sure to tune in next week, when we will be publishing the results for the entire month of September! Starting this week, we’re adding some notes about what changed with regard to Tesla — or public knowledge about Tesla — during the past week. That should help to put the results in context. As you have seen, we track Tesla headlines and rate them based on their implications for Tesla. We cover 22 major media sites. We rate all of their Tesla headlines as either positive, negative, or neutral. Unlike a more nuanced scale, this system is based on solidly objective evaluation and contains minimal bias. A handful of us have been checking the headlines and we basically do not find variation in how a headline is rated, because it is a straightforward and clear system. We define journalism as the pursuit of facts and reporting on them. When you systematically report with a slant that doesn’t line up with reality, or omit facts that are inconvenient to your point of view, that distorts the general truth. 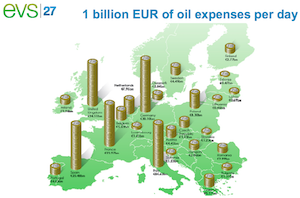 In order to be as transparent as possible, all the data our analysis is based on are published at the end of each report. We report the facts and let you draw your own conclusions about the story behind these stories. We encourage you to check our data and have fun experimenting in the evaluator role — that is more illuminating in our opinion than simply looking at the results. We also encourage you to let us know if you notice something that was rated incorrectly or have suggestions on how to further improve our system.